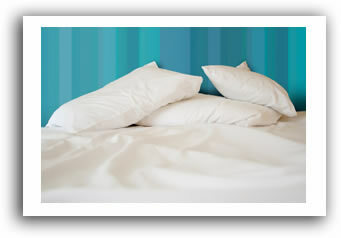 The Poole Company offers new age recycled fiberfill for furniture, bedding, toys, and decorative pillow markets that is manufactured with 100% PCR PET polymer. The value added recycled fiberfill products made from 100% PCR PET fiber include spiral and solid fiberfill with the widest range of deniers in the market. With EcoSure sustainable fiber, Poole Company offers a non-hazardous product with high loft, excellent moisture shedding, resilience against mildew, and made from 100% post-consumer recycled material. With an EcoSure blend, outdoor furniture manufacturers can address some of their biggest concerns – moisture, loft, flammability, performance, and cost. At the same time, these organizations lower their carbon footprint and embrace corporate responsibility. 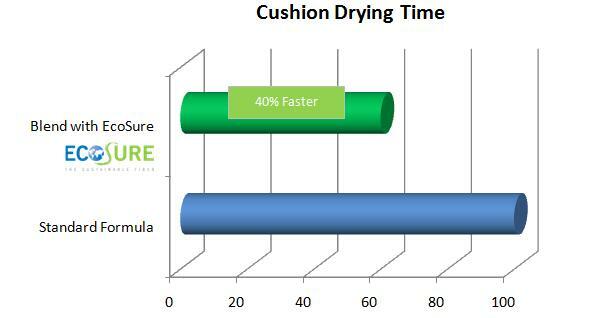 Using an EcoSure Fiberfill blend for outdoor cushions also means 40% faster drying time. Download our Fiberfill for Ourtdoor Furniture brochure for more information. Visit the environmental facts page to see how you can contribute to environmental challenges by purchasing an EcoSure fiberfill or other recycled fiber product manufactured of 100% recycled material. By using EcoSure Fiberfill, you are helping sustain our environment and providing performance from a bottle. Did you know that eighty five 16 oz. PET bottles will produce the fill for a sleeping bag? Contact us today for more information on virgin polyester fiberfill and EcoSure fiberfill products.